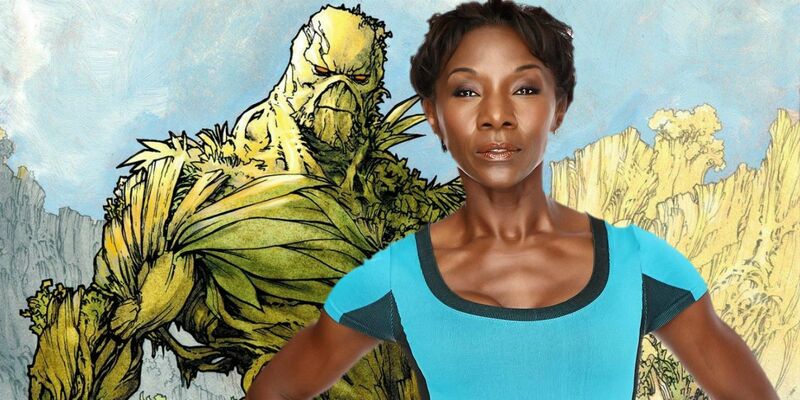 Jeryl Prescott has joined the cast of the upcoming TV adaptation of Swamp Thing. The show will air on the DC Universe streaming service, alongside Titans and the Harley Quinn animated series, in which Alan Tudyk will voice The Joker. Despite this, Swamp Thing will not crossover with the other shows as DC follows a more Elseworlds approach with their shows. Development on the show has been underway for a while now, with Crystal Reed already cast as Abby Arcane. Created by Len Wein and Bernie Wrightson, Swamp Thing tells the story of Alec Holland. In the comics, Holland is a scientist whose consciousness and memories are transferred to the plant life surrounding his lab after an attempt on his life. At first believing he is the real Alec Holland, the creature attempts to reclaim his original form. After realizing the truth, he adopts a life of anti-heroism. With details kept firmly under wraps, it’s unclear how faithfully this origin will translate to the adaptation. The series will, however, be produced by James Wan and embrace more of Swamp Thing‘s mature, horror elements. As reported by The Wrap, Prescott has landed the role of Madame Xanadu. It’s unclear how large a role the character will play in the series, but is described as “a centuries-old sorceress” that serves as both “a fortune teller” and “a magical crusader.” Encompassing both Atlantis and Arthurian legend, Madame Xanadu’s comic backstory is a long and varied one. The show will apparently offer a faithful interpretation of the character, right down to her notable blindness. Prescott is best known for playing Jacqui, one of the original survivors on The Walking Dead. Her character perished in the season 1 finale when she chose to stay and die at the CDC rather than struggle on. Following this, the actress had a recurring role on Ray Donovan and starred in the PlayStation Network series Powers. Swamp Thing will also feature Jennifer Beals in a recurring role. As is the case with most characters of a semi-immortal life-span, Madame Xanadu has enjoyed relationships with both male and female partners. Yet again, it remains unclear whether the LGBTQ element of the character will be explored on the show. Regardless, her status as a powerful person-of-color character that isn’t even hindered by her disability places her already as one of the most progressive characters set to be on television. Despite a recent name-drop on Legends of Tomorrow, it’s looking unlikely that fans will get to see Swamp Thing partner up with frequent collaborator John Constantine, at least for now. Still, Madame Xanadu has the potential to be an interesting foil and powerful ally to the popular antihero, one that could please a whole trifecta of passionate audience demographics when the show finally debuts. Swamp Thing is currently set to air sometime in May 2019.